On June 28th 1914, Archduke Franz Ferdinand of Austria-Hungary was murdered. It was the spark that sets the world on fire. 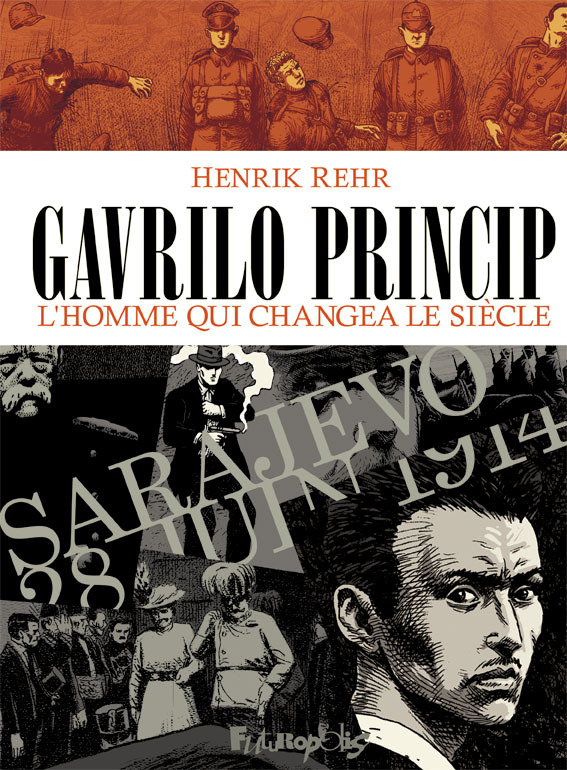 Artist and writer Henrik Rehr has burrowed into the life of the Archduke’s assassin, Gavrilo Princip, and created a must-read volume in an already growing pile of sublime WWI graphic novels. Much ink has already flowed about the start of the Great War, but never before has a publication probed so deeply into the man who set the gears in motion. In 232 pages, Rehr’s extensively researched graphic novel delves into the motivations of the young Serb Gavrilo Princip and contextualizes his taking-up of arms against the Archduke. It is a remarkable achievement by Rehr that he succeeds in making us feel for this small person, who ultimately turns out to be just a man and a cog in the machine of higher powers. From his youth spent in poverty as the seventh of nine Serbian children in rural Bosnia-Herzegovina to his wasted education in Sarajevo, where he comes into contact with anarchistic elements, Princip’s life up until the moment he entered history consisted mainly of hardship and famine. The radical philosophies of repression and “power to the people”, as perpetuated by writers such as Bakoenin and Kropotkin, resonated deeply with Princip, who had always lived beneath the yoke of the Austrian ruler under whom Bosnia-Herzegovina was annexed. From that point on Princip fell under the spell of The Black Hand – a terrorist organization consisting of nationalistic Serbs – and was manipulated by them and their international network of radicals to play his part in the assassination of the Archduke. In a sublime storytelling move, Rehr regularly interrupts Princip’s story with single-page vignettes of Franz Ferdinand’s life. The contrast with the aristocrat’s life of luxury and privilege couldn’t be more stark, and the tension mounts as the meeting between the two comes closer – especially as the Archduke ignores warning after warning of a terrorist assassination plot. All the while, the story of Gavrilo Princip masterfully delineates the political hotbeds of turn-of-the-century Europe, laying out precisely the geographical and historical tensions between Bosnia, Serbia and Austria-Hungary. Drawing in a heavy, realistic line not unlike that of Joe Sacco, Rehr drenches the pages in dense cross-hatching, grey colouring and spotted blacks. His pages are often full-bleed or black with heavy panel borders, and some pages even come across as intricate woodcuts. The minute you open the page, you’re thrown into a dark world of misfortune and pending disaster. The drawing style hammers home the seriousness of Gavrilo Princip’s actions and decisions in a startling manner. Rehr also does not shy away from more prosaic images, interspersing the story with full-page shots of the trenches, a mutilated soldier or a corpse in a church as a preview of the horrors to come. It was not empathy but a deep sorrow that emanated from me upon closing the back cover of this book. It’s a tale of a life (or lives) wasted physically and mentally, drowned by international politics and by a craving to belong to something. And although the subtitle of the graphic novel is ‘The Man Who Started WWI’, it is clear that Austria was just looking for an excuse to invade the Balkans. Gavrilo Princip,The Man Who Started WWI comes with the highest recommendation, and I can only hope that a publisher like SelfMadeHero picks this up for the English-language market. Gavrilo Princip, The Man Who Started WWI by Henrik Rehr is published in French by Futuropolis. It is a black-and-white hardcover counting 232 pages and retails for €26. This review was based on the Dutch edition published by Ballon Media. 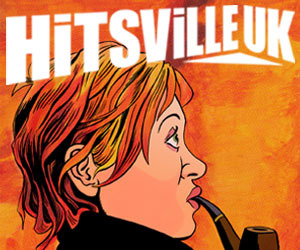 Your wish came true but through a different publisher: Graphic Universe™ will release an English language version in April 2015. This looks stunning Bart 🙂 Just read an article online a couple of weeks ago about Princip. He’s a fascinating historical personage whose actions continue to have an immense impact on global politics a century after the fact – even if he had no idea at the time how he’d affect the world. This looks like a beautiful book.